Dave Whittle is a Postgraduate student in the School of computing. He previously studied in UCD and UCC. Whittle plans to ensure that DCU has a strong voice within the USI and as a law graduate; he knows exactly what students’ rights are. He plans to promote access to mental health services in DCU and organise free Positive Psychology seminars on campus. Whittle also promises that the position of Postgraduate officer will be filled and he also wants to give more attention to smaller clubs and societies. I think I can offer genuine experience. I know when people say that they can offer experience it’s a cliché but in my case it’s true. I’ve been to college twice, I’ve worked in a charity where I’ve had to deal with policy makers and politicians. I know what it’s like to have a perspective and to fight for this perspective in a way that’s likely to get results. Every candidate brings something to the table. What sets me apart is my practical experience. When it comes to marriage equality, the nursing campaign against the €6.49 an hour for new nurses, I have actively supported these issues for years. I am also supporting the Defend the University campaign. Universities should not just focus on courses for big business and the economy. Big business should not dictate. What would you do to improve the level of students voting in referenda? The SU can look like a clique, I’m not saying it is, but that’s why I think some students can get apathetic when they see this. By the very act of me being there, immediately this perception of the SU being a clique will hopefully make students feel like they have a say. What would you do to make yourself more approachable to students? I like to think I am approachable anyway. To be approachable involves two simple things; an open door policy and you just need to get out there and engage with students. 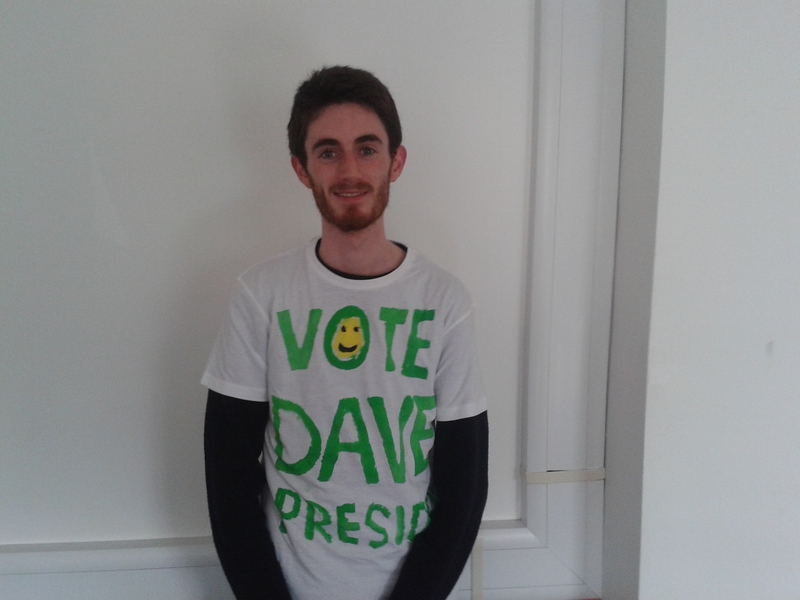 Vote for me for a fresh start and to get a different perspective on the Students’ Union in DCU. See how Dave fared in our opinion poll here.